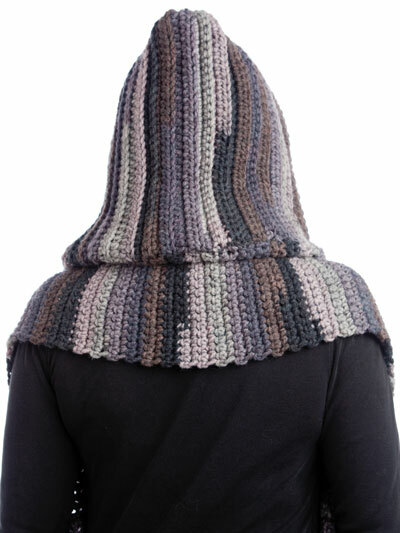 You can easily make this hooded scarf in a day. Samples shown are made using 6 skeins of Universal Yarn Classic Chunky LP in color Black Heathers, and 5 skeins of Universal Classic Shades Frenzy in color stranded. 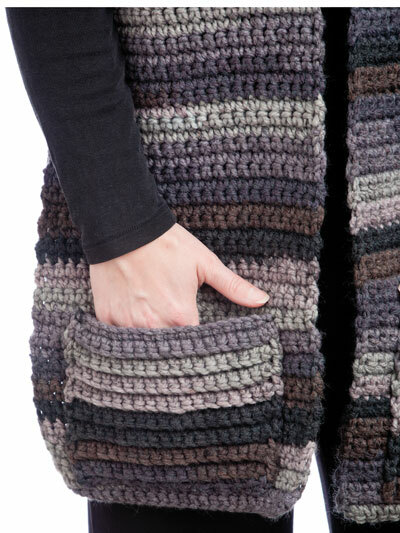 Any chunky-weight yarn and an I-hook can be used. 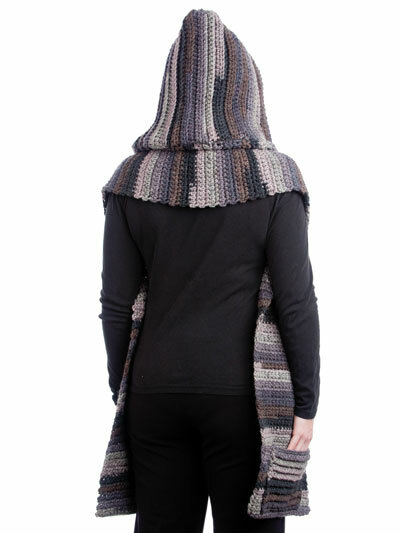 Measures approximately 9 inches wide and 75 inches long plus hood.